Ireland's first National Community Weekend is taking place over the May bank holiday weekend (4-6 May), and community and voluntary groups are invited to get involved by hosting local events. Celebrate the beginning of summer by organising your very own Street Feast. There’s no better way to meet people in your local community, make new friends and build a more welcoming community than sharing food over the ﬁrst BBQ of the year. Most of all, it’s a great excuse to either reintroduce yourselves, catch-up, eat good food and have a bit of fun! Why not sing and dance to your own kind of music by organising a community talent show? It’s the ideal way to bring to life new sides and talents of people in your community. Whether you walk, run or jog around the neighbourhood, group-exercise is a great way to get to know the people living around you. Why not arrange a fun run, where people of all ages can get involved? To build a sense of community spirit, why not arrange a sports day ﬁlled with all the classic outdoor games for children of all ages? Do you have another idea to bring your local community together? Give it a go! 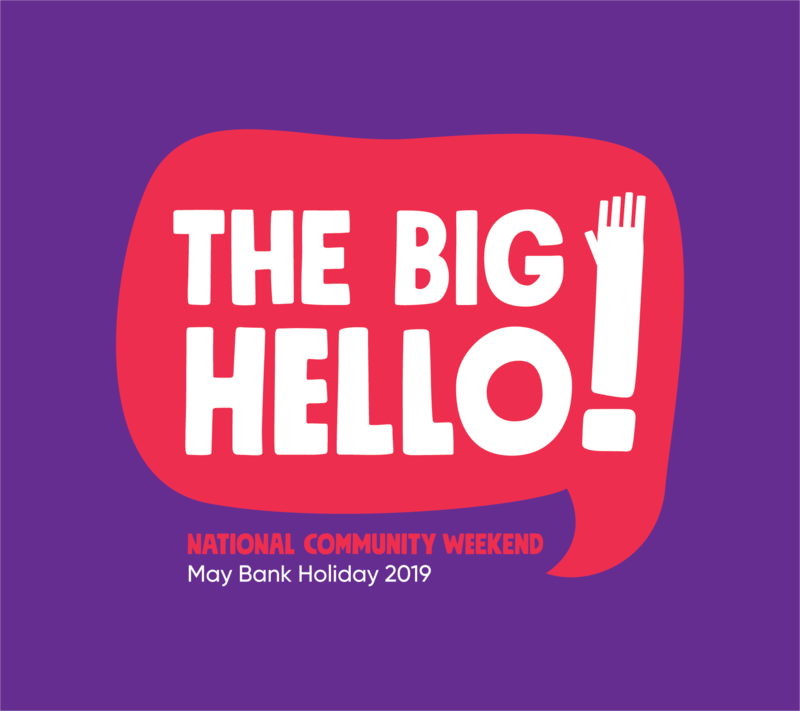 The Big Hello!, Ireland’s National Community Weekend is being coordinated by the Department of Rural and Community Development, supported by The Wheel and other civil society organisations.